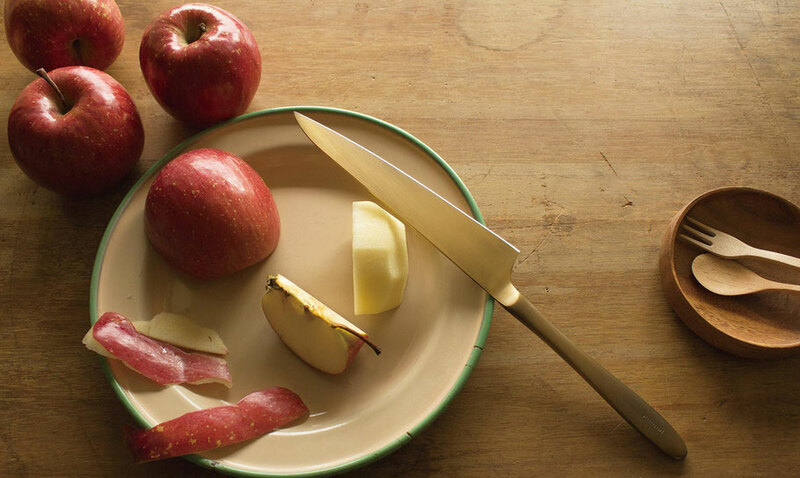 Just like a hand painted antique plate or well – used tool,we manually engrave, brush and sharpen the blade of each “pomme knife”one by one to ensure absolute comfort when held. See for yourself the difference and uniqueness of each handmade knife. 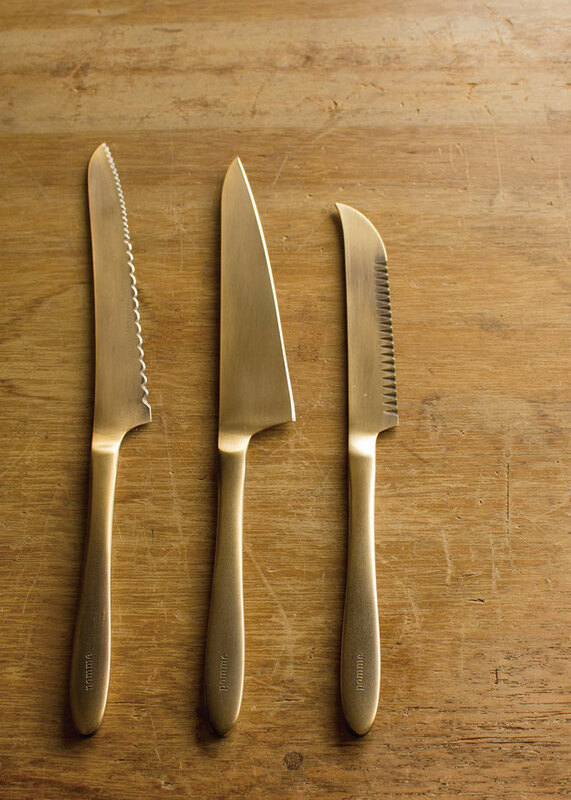 The blade is made of sharp material and plated with pure gold brushing. This bread knife has two types of serrated edges developed originally. 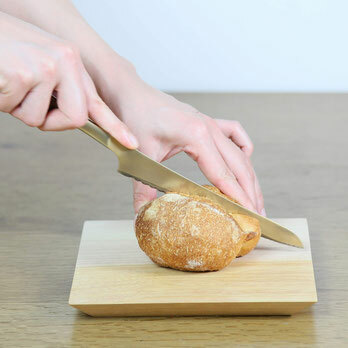 When cutting the hard surface of breads, use the sharp edge on the tip, which smoothly cut in the bread. When cutting the soft center part of the bread, use the gentle curve edge, which makes the slices beautiful. The small size knife is suitable for using at dining table. Perfect for detailed cooking work such as peeling vegetable and fruits, making garnish cutting small ingredients. The handle is slim shape which is comfortably in your hand. Suitable for cutting soft to semi-hard cheese. 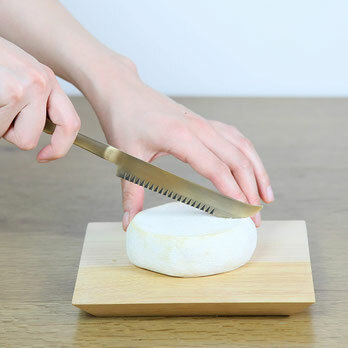 This blade has a serrated edge at the tip, which makes cutting hard cheese easier. 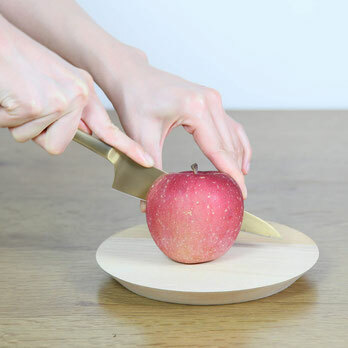 Also the knife can use for decoration knife. ■ The products using delicate material, please be careful not to damage it and after use, wash by hand and towel-dry the product completely before storing in order to avoid corrosion.